Have you ever briefly left the laundromat while your laundry was in the middle of a cycle? Whether you needed to run an errand or grab a cup of coffee, you may have felt a bout of anxiety while you were away. After all, what’s to stop a stranger from stealing your clothes when you’re not around? And this isn’t just a concern of laundromat patrons – store owners and managers also worry about how to prevent laundromat clothing theft. Don’t leave your laundry unattended. As a customer, the only way you can ensure that someone doesn’t steal your clothes is to wait in the store while your clothes are cleaned and dried. Consider it an opportunity to catch up on some reading, listen to your favorite podcast, or play a game on your phone. If you keep an eye on your laundry, no one will dare to steal it. If you can’t wait at the laundromat (or if there isn’t a free chair in the building), make note of the length of the washer/dryer cycle. Better yet, set a timer on your phone. Then, plan to return a few minutes before the cycle finishes. That way, your laundry won’t be left unattended, taking up space in a machine someone else might need. If you monopolize the machines and don’t remove your laundry punctually, you’re sure to anger some of the other customers. Rightfully upset and impatient. someone may decide to move your clothes after several minutes go by. If you’re lucky, they’ll be placed in a cart or on top of a machine. If the odds aren’t in your favor, the clothes may be thrown on the floor, tossed in the trash can, or perhaps even stolen. Hang a sign to let your customers know that you are not responsible for laundry, supplies, and personal items left unattended in the laundromat. Encourage your customers to remove their laundry promptly after a cycle finishes as well. Be sure to use bold graphics, large font, and eye-catching colors to ensure that your signs aren’t overlooked. A security camera provides two clear benefits when it comes to theft. First, it discourages theft because thieves are less likely to strike if they know their misconduct will be caught on film. Second, if something is stolen, a video camera provides evidence for the police and increases the likelihood that the culprit will be caught. Finally, if you hire an attendant to keep an eye on your store, thieves may be deterred. The simple presence of an attendant is often enough. 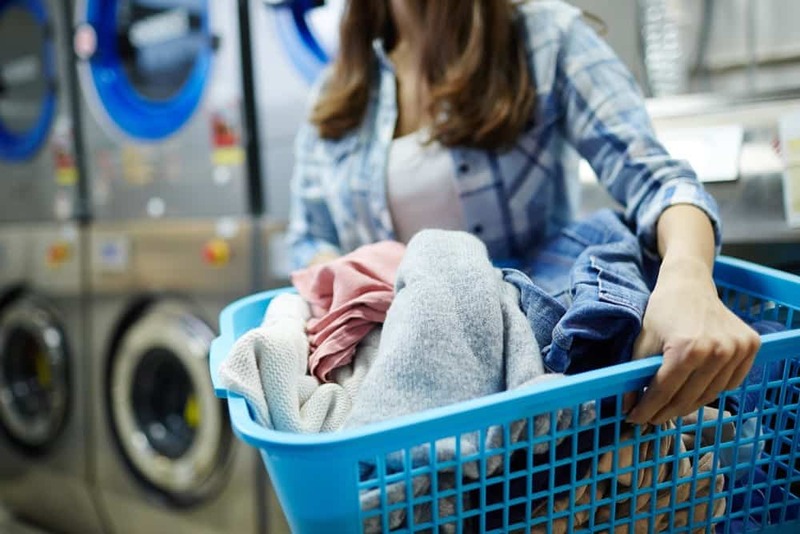 However, it may also help if the attendant greets patrons and generally keeps an eye on who is entering with laundry to wash.
Luckily, laundry theft is not particularly common. People are far more likely to move your clothes within the laundromat than they are to steal it.